A reasonable life of the product. A product that is safe to use, and prevents cuts or injuries to the user. Be weather-resistant to protect the contents from rain, direct sunlight and other elements of inclement weather. This would normally be provided by the use of a weather hood. NOTE: It is recommended that some facility for drainage be incorporated into the design. The mailbox shall be constructed so as to form an internal space for the purpose of receiving and holding mail. The minimum dimensions of this internal space shall be 160 mm . 330 mm . 230 mm. Except for any door-fastening mechanism or any internal weather shield, or both, the minimum internal space shall be clear and unobstructed. NOTE: It is recommended that a separate aperture, box or tube, as an adjunct to the mailbox, befitted to accept newspapers and other non-mail items. Mail should not be delivered to this second aperture. 5.1.2 Front of mailbox The front or aperture side of the mailbox may be on the 330 mm or the 230 mm long side, depending on the orientation of the mailbox. Size of aperture The dimensions of the aperture shall be 230 mm . 30 mm or 330 mm . 30 mm, depending on the face on which the aperture is located. For horizontal apertures, the lower edge of the aperture shall be a minimum of 130 mm above the base of the internal space as defined in Clause 5.1.1. For vertical apertures, the lower edge of the aperture shall be a minimum of 40 mm above the base of the internal space as defined in Clause 5.1.1. Mail should not be able to be easily removed through the aperture. They shall not be closed by any spring force or other mechanism other than their own weight. 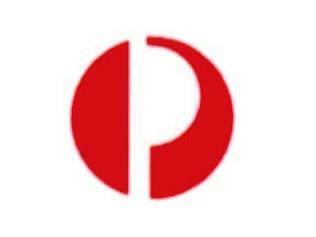 A weather flap shall move inwards to allow receipt of mail. They shall not reduce the clear aperture opening, as defined in Clause 5.2, to less than 30 mm. 5.4 Access door An access door shall be provided to allow mail to be removed easily. 5.5 Provision for street/unit number An unobstructed smooth surface shall be provided on the front of the mailbox below the aperture to accept self-adhesive or other numbers. 6.1 General All mailboxes shall be capable of separately accepting the two templates, as specified in Clause 6.2. The templates shall be able to pass through the mailbox delivery aperture and be deposited wholly within the internal space of the mailbox. The templates shall be able to be easily removed via the access door. 229 mm . 324 mm by 10 mm thick. 162 mm . 229 mm by 20 mm thick.7 MAIL SECURITY On all mailboxes, the minimum provision shall be the facility to accept a locking device. 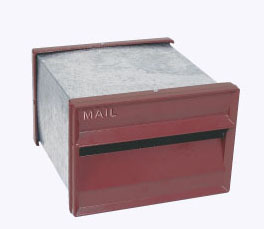 Mailboxes should be designed so that the mail cannot be easily removed through the delivery aperture. 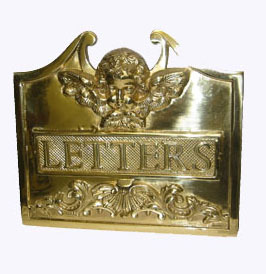 APPENDIX A POSITIONING AND NUMBERING OF MAILBOXES (Informative) A1 SCOPE This Appendix is intended to provide householders and landlords with appropriate information to assist delivery officers in the delivery of mail, except when designated as mandatory by an authority. 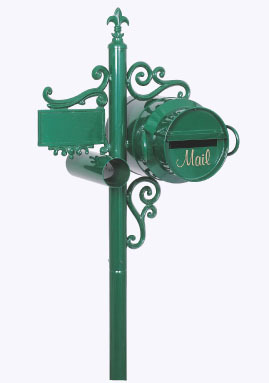 Correct positioning and numbering of mailboxes will assist in the accurate and efficient delivery of mail. A2 POSITIONING OF MAILBOXES Individual mailboxes and groups of mailboxes for residences or business premises should be located as close as possible to the footpath, driveway or roadway boundary of the property, with the aperture facing the footpath or roadway. If the property has a driveway entrance from the roadway, mailboxes should be positioned as near as practicable to the junction of the driveway and the roadway. In all cases, access to the delivery aperture should be unhindered, with the removal of rubbish and overhanging shrubs and trees. 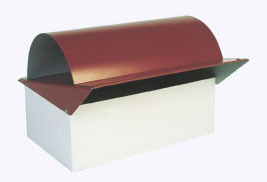 Mailboxes should be positioned so that the aperture is between 900 mm and 1200 mm above ground level and conveniently located so that the delivery officer does not have to dismount from a bicycle or motorcycle to insert mail. 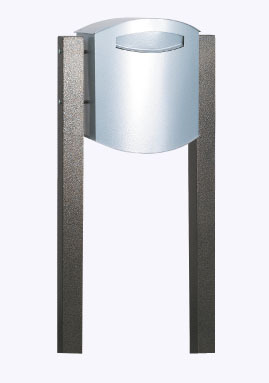 Groups of mailboxes for flats or apartments may be positioned at right angles to the footpath or roadway and parallel to the driveway with apertures located within the height range of 600 to 1600 mm. Mailboxes positioned in this way should commence as close to the footpath boundary as practicable, and provide adequate room for the delivery officer to park a bicycle or motorcycle and place mail in the boxes safely. A3 NUMBERING OF MAILBOXES All mailboxes should be clearly labelled with the street number or flat or apartment number clearly displayed below the aperture. 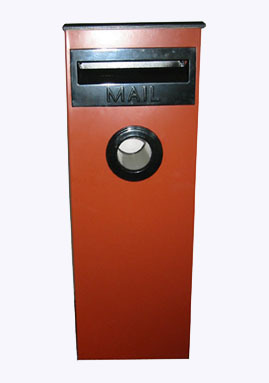 Where there is a group of mailboxes, numbers should run in a logical sequence and the street number should be displayed in a prominent position near the mailboxes so that it can be easily read from the footpath.